Cut brick by brick to build your white home. With good stamina and skill you build your igloo. What is nicer than a tent roof or a starry sky? You know it: a snow roof! After preparing the "building site" by stamping down and shovelling the snow, we will start the planning. Where do you want your house to stand? How is it best built? What size and shape do you want it to have? In the "stone quarry" you will start to carve out the many blocks you will need. You will be surprised how hard they are − it is, after all, only snow. With expert guidance, you will then layer the blocks on top of one another − here you will need a considerable amount of skill, coordination and also perseverance. Everyone will be challenged. Your snow house will gradually grow, layer by layer, until the last block has been placed in the middle of the roof and the igloo builders working on the inside have had the well known "snow shower". To finish, the entrance will be cleared and you can proudly admire your work. Igloo building is more difficult and strenuous than you may think. 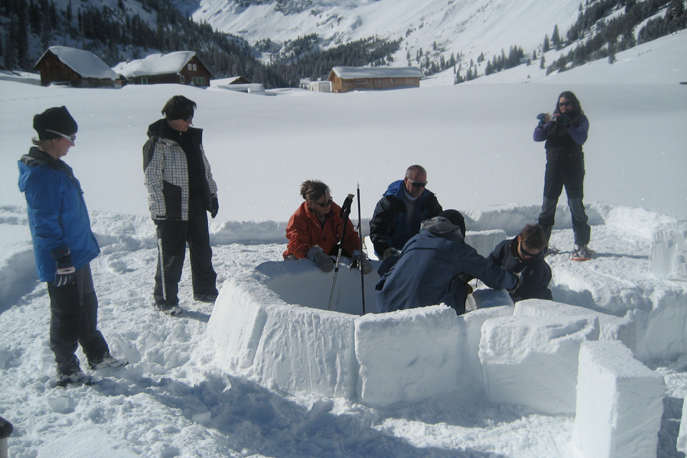 Larger igloos require many hours of sawing and layering. 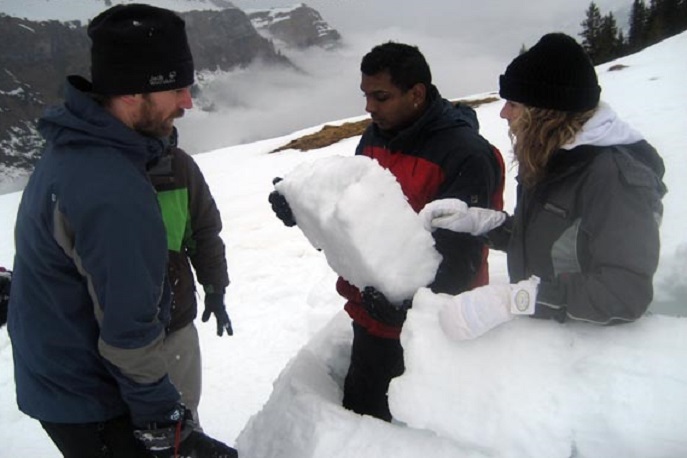 Specialist expertise is also needed to ensure that the igloo has a nice shape and doesn't end up looking like a tower. The smaller igloos have proven ideal for offering a taste of building and experiencing an igloo. It is impressive to see how a house is built in such a short time. Afterwards, you can take the ultimate photo. You do, after all, want your friends to see this, don't you?! For the night, you will need a warm sleeping bag and an insulation mat. 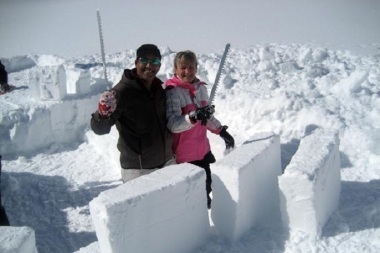 If you are only building a small igloo, you can also combine this with an enjoyable snowshoe or ski tour or even the Winter Olympics. A meal in the nearby mountain inn is always recommended − work like this makes you hungry!